Awesome doctor - the best I had so far! Highly recommend! 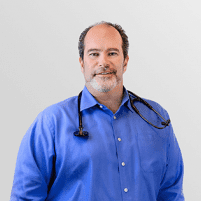 Dr. Temkin is my primary care physician, since I move to San Ramon in 2010. He is a very personable health -care provider. His office has able and friendly receptionist and nurses. I am in my late 80's, and has faced with various health problems from time to time. Dr. Temkin has either treated them promptly or make a referral. I am fortunate to have Dr. Tenkim as my primary care physician. In the past few years since seeing Dr. Temkin, as my physician. I have never felt better about be well taken care of with my health and well being. My seeing him and his staff have given me self-confidence that I could change my direction to a healthier me. Thank you Doctor. Alias it has come down to Insurance cost and as the cost of our family health plan has gone up by 18.1% each of the last three years with Blue Shield/Anthem PPO carriers. This year we have had to move over to Kaiser HMO plan to keep the cost down to last years prices. Wish us luck. So I was saddened that I would not be able to keep, Dr. Temkin and his wonderful caring staff, Erica, Sue, Rochelle, Julie, Mariah, Anjelica, and previous staff members over the years. Thank you all, Barry C.
Made appt for back and ribs due to an accident over the weekend, walked into office and was immediately taken in. Staff was awesome and attentive. Seconds later the Doctor came in to check on me, Dr. Temkin has a world of knowledge and experience and it shows, his professional and caring attitude makes him easy to talk to and deal with, you walk away confident your in good hands! I’m so glad I found Dr. Temkin! I get the specialized care that I want and need, that I can’t find easily elsewhere. My quality of life is better thanks to Dr. Temkin. Fine except needed more time to discuss what was ailing me such as numbness in my extremities and cramping in my hands and a plan for it. Always the same. Warm reception, comprehensive appt. with Dr. Temkin meeting my needs and concerns. Probably why I have been with him, if memory serves me right, more than 20 years. Dr. Temkin and his staff are excellent. When have you ever had a doctor call you to go over your test results even when they are fine, just to make sure you don't have any questions. Whenever we have needed him, Dr. Temkin is there. We had one scary episode where he walked us through what to do over the phone and was waiting for us when we arrived at the office. He's the best, and his staff is wonderful! Professional and positive. Prompt attention to my concerns. Dr.Temkin and his wonderful team are always helpful, pleasant and efficient. Doctor Temkin has an engaging and warm demeanor. He offers a great combination of smarts and compassion! Highly recommend! Full physical. Listens! very thorough and a good at diagnosing issues. It’s my second home. Staff is great! !they always have time for my questions and I feel they truly care. Dr. Temkin is a great doctor. He is very involved with issue and provides solutions in a calm trusting manner. One of the nicest doctors I have met! Outstanding Doctor! Very professional, he listens to you, asks questions and takes the time to explain what he is doing and why! Highly, highly recommended! I have been visiting Dr Temkin for the last 10+ years. He is very professional, friendly and caring and listens our problems and asks questions for the right treatment. He makes time so you don't feel rushed, he is personable, and the staff is very professional. Appointment was right on time. Staff was very friendly and professional.Merry Christmas!